Michele Maron has volunteered to mentor/facilitate this 6 part program on the first Mondays beginning January 2019. This quilt finishes 66 1/2" x 66 1/2" and your monthly fee of $34.99/mo for 6 months includes all fabrics for the top and binding and best of all -- the cost of the pattern is FREE! 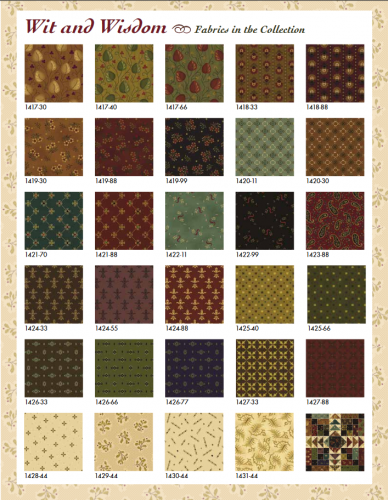 You will also have access to the Simple Whatnots Club Collection 8 patterns for participating. 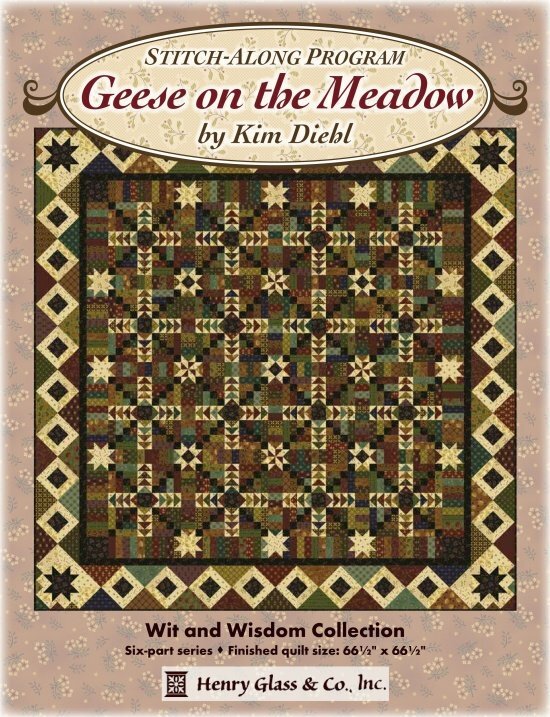 The $15 registration fee will be applied as a discount to your pre-order backing fabric of 4.25 yards from the Wit and Wisdom Collection (choice of 2 backings - 1429-44 or 1423-88).